Dental emergencies are awful! These situations can be painful and confusing, but if you address them as soon as possible, you can minimize the damage and get back to feeling like yourself in no time. Dr. Bruno is always ready to leap into action to address your urgent oral health needs; please contact us right away if you are experiencing a dental emergency. It might be possible to prevent most of these situations by practicing good oral hygiene habits and wearing a mouthguard while you’re playing sports. 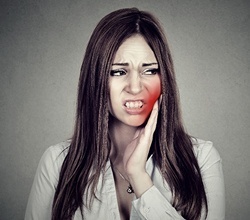 However, sometimes even the most diligent preventive measures aren’t enough to stop a dental emergency. 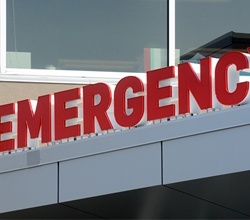 The exact steps you should take during a dental emergency depend on the details of the situation. Sometimes, such as when a tooth gets knocked out, you need to see a dentist immediately. The sooner you receive professional attention, the more likely it is that the tooth can be saved. Just be sure to keep the tooth moist in its original socket or in a glass of milk and bring it with you to the dentist within an hour or so of when it gets knocked out. In other cases, you may be able to wait a day or two before you see the dentist. For example, if you lose a crown, you could try to reattach it with temporary dental cement and just avoid chewing in that area until your dental appointment. You may be able to manage your discomfort with mild OTC painkillers. If your mouth is bleeding excessively or if you suffered a jaw injury, it’s often best to head to your local ER rather than the dentist. After medical professionals have had a chance to treat you, you can make a follow-up appointment with your dentist, who can help get your smile back to 100 percent. Don’t be afraid to call us and ask for advice. Describe the situation, and we’ll let you know what we recommend that you do next. How Will the Dentist Treat Your Tooth? 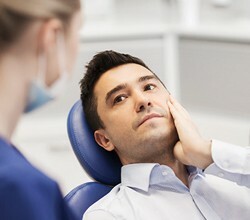 Many dental emergencies require that you undergo a root canal treatment. This is especially true when there is an infection that may spread beyond the tooth and damage the surrounding area. Don’t worry — thanks to modern dental techniques, root canal therapy is a painless procedure. In other instances, your emergency treatment may require that Dr. Bruno splints a tooth back in place or designs a new crown for you. And while our team will always do its best to save your tooth, we sometimes find an extraction is necessary. If you do end up losing a tooth, please be sure to ask us about the restorative treatments we offer, such as implants and bridges.